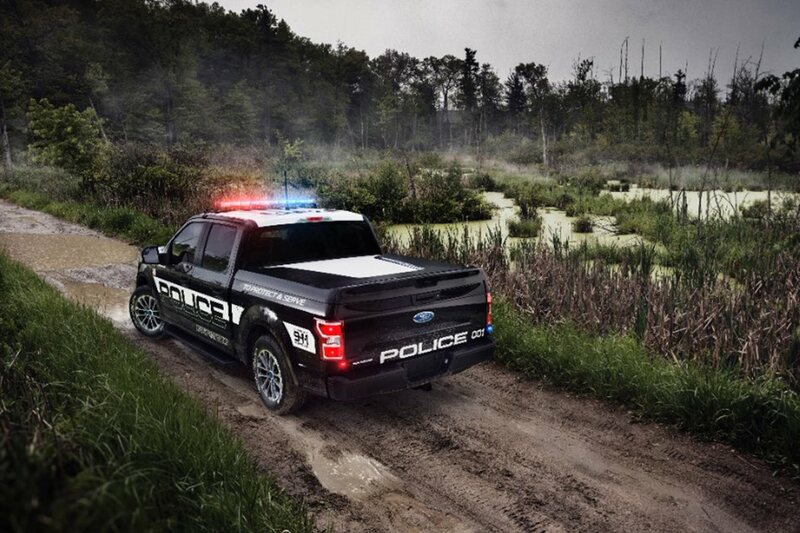 Ford Motor Companyhas unveiled the US police industry’s first pursuit-rated ute. 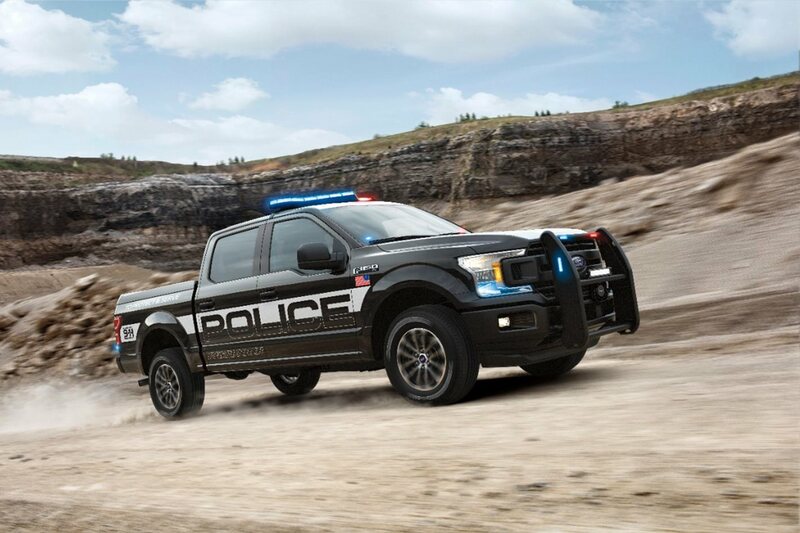 Based on the F-150 FX4, the Police Responder will run a 3.5-litre EcoBoost V6 engine (280kW/637Nm), Ford’s SelecShift 10-speed automatic transmission and the FX4’s off-road suspension set-up – so the chase won’t be called off when crooks high-tail it off the bitumen. 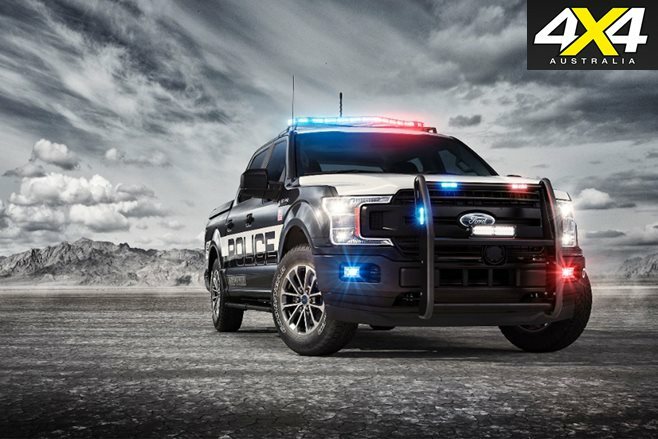 Utilising Ford’s high-strength, aluminium-alloy SuperCrew body, the crime-deterring F-150 sits on a high-strength steel frame. With an ability to reach speeds of up to 160km/h, this tough ute will be able to snare law-dodgers right across the urban and rural lands of the United States. 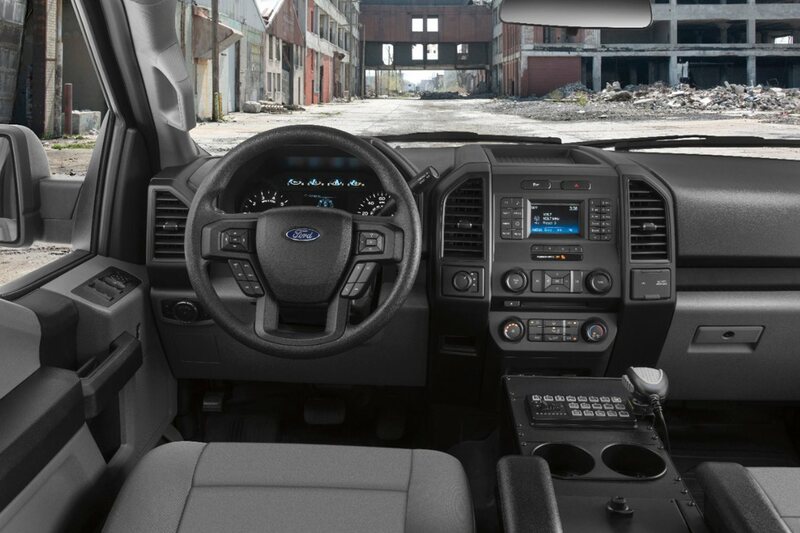 “Ford’s 2018 F-150 Police Responder is the perfect all-terrain law enforcement vehicle,” said Stephen Tyler, Ford’s police brand marketing manager. Other notable performance enhancements of the Police Responder include a police-calibrated brake system (upgraded calipers and pad friction material), an upgraded front stabiliser bar, 18-inch alloys surrounded by all-terrain rubber, underbody skid plates, and a class IV hitch with a claimed maximum towing capability of 3175kg. 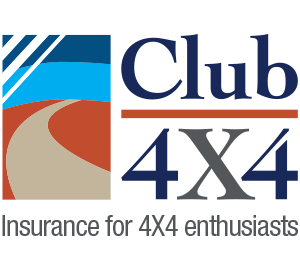 A high-output 240amp alternator supports all on-board electrical devices essential to a police vehicle, including a police-calibrated speedometer, and engine hour and engine idle hour meters. Begs the question why don’t Ford do what they have done with the Mustang, built in Asia and sells for $60,000. One dealer told me there’s not enough demand for the big American Utes. Tell that to Performax who bring the Utes to Australia and charge $140,000 which most of us can’t afford. Apparently they are flat out trying to keep up. If the automotive industry were to open their eyes and give us a cost effective large ute for towing, their sales would go through the roof. Problem is they still have their heads stuck in the sand.